Until July 2014 Rob spent 18 years (the last 9 as CEO) helping position Pacific Hydro as Australia's most successful and dynamic international clean energy utility. From small beginnings 20 years ago, the company became a leader in the hydro, wind and solar electricity markets in Australia and Latin America by developing world class development, delivery, financing and operations expertise in each of its business units to an award winning level. Rob is a passionate advocate for greater engagement of Australian businesses, education institutions and society with Latin America. He currently serves as President of the Australia Brazil Chamber of Commerce (ABCC), Director of the Australia Latin America Business Council (ALABC) and was a previously a Director of the Council of Latin America Relations (COALAR). Rodrigo is a partner at Stark Capital Partners since 2016 and responsible for managing investor relations and equity partnerships in the Asia-Pacific region. With over a decade’s experience as a corporate executive in Oil & Gas and Agribusiness, Rodrigo has played instrumental roles in the Project Management of major facility redevelopments, internationalizations and international trading. As a private investor, he has developed Brazilian Agribusiness’ interests internationally and domestically. With extensive experience in facilitating mergers and acquisitions, Rodrigo has worked with corporates and private investors in Australia, Brazil, China and the USA. As the vice-president of the Australia-Brazil Chamber of Commerce (ABCC), Rodrigo has extended his skills to assist development between the Asia-Pacific region and Brazil. Cristina was born in Brazil and has a corporate legal background with more than 15 years experience in executive boards and management of not-for-profit associations. Cristina was President of the ABCC from 2003 to 2013, Vice Chair NSW of the Australia Latin America Business Council (ALABC) and was a Board director of the Council on Australia Latin America Relations (COALAR) . Cristina is also an entrepreneur having founded Braust Pty Ltd and SalDoce Fine Foods, manufacturing allergen sensitive food products to Australia and export markets, winners of the NSW Export Awards 2016. She is a co-owner of the retail chain Naked Foods. She is a Director on the Board of the Coalition for Conservation group supporting industries seeking action in environmental issues, and a diretor of One Meal, a charity assisting the homeless in Sydney. Cristina is a benefactor of the Art Gallery of NSW and a graduate of the Executive Program Women & Power at the Harvard Kennedy School of Government. Flavia is an accomplished Commercial and Corporate Lawyer of the Supreme Court of New South Wales, Australia (also licensed in Brazil, dual qualification) with over 17 years of practice. She was born and lived in Sao Paulo capital city for 24 years before she moved to Australia in 2001. Flavia has extensive business, board and legal experience, having acted for blue chip multinationals (Commonwealth Bank, Lend lease, Pirelli Group, Contract Resources, to cite some) and advised many Australian and Brazilian businesses and individuals to date. She runs a busy commercial and corporate legal practice in Sydney, Oceania Legal, working with a multitude of businesses and their owners, the entrepreneurial sector, associations, investors, international traders and assisting companies to establish and operate in Australia. 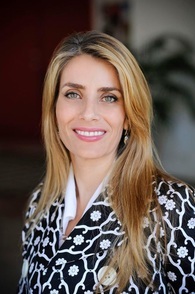 Flavia is also a Lecturer of Commercial Law at respected Kaplan Business School in Sydney; and Institutional Ambassador for Australia at the Brazilian Institute for the Development of International Business Relations – IBREI. A successful business advisor and entrepreneur herself, Flavia is the founder of Oceania Business Advisory International, a venture based and procurement business acting in diverse industries such as waste to energy, health, fast moving consumer goods, construction, IT, education; she is also original board and ongoing legal adviser of Somos21.org. Evelyne Wilton, born in the Netherlands, is the NSW Director Australia Brazil Chamber of Commerce (ABCC). She has 20+ years experience in IT Management with various roles in Service Delivery Operations and Management, Transition/Change and Project Management in over 10 countries in the South Pacific Region. Evelyne now specialises in B2B Account Based Marketing , her agency 7Seconds Marketing provides integrated Marketing services from ABM to execution. She is fluent in Dutch, German, French and Spanish, currently learning Portuguese. Fabio Bastian, born in the south of Brazil and resident in Australia almost 30 years, is a transformation CIO specialised in software technology with strong leadership, management and governance experience. He is the Chief Information Officer for Chartered Accountants Australia and New Zealand, based in Sydney. Fabio has led organisation wide change programs, implemented risk management frameworks and established governance programs. Amongst many impressive achievements, Fabio Bastian assisted the Australian Institute of Company Directors to establish as a digital leader and launched a SaaS online scheduling service for small businesses in the USA. As a graduate of the AICD Company Directors course and its other governance courses, Fabio has extensive knowledge of best practices and governance for directors and boards. His experience spans professional associations, startups, banking, internet and aircraft industries. Richard is a Strategic Planning Advisor for the Victorian Department of Economic Development, Jobs Transport and Resources. He has over 20 years of experience in strategic planning and projects in both the public and private sector, including in Latin America. In recent years, he has managed major projects in minerals and extractive industries, international education, energy infrastructure, as well as a raft of strategic policy initiatives. For over 20 years, Richard has been developing close relations and wide networks with Brazil and other Latin American markets through his work, special engagements, and private pursuits. He speaks Portuguese and Spanish and is an active member of Brazilian communities in Australia. Prior to his appointment as co-Director for Victoria ABCC, Richard had previously spent 3 years leading the ABCC in South Australia, running a series of successful events promoting opportunities between Australia and Brazil. Anna is an Australian lawyer based in Melbourne who has specialised in environmental and planning law for over 10 years with Corrs Chambers Westgarth Lawyers. Anna’s practice involves advising both government and private sector clients on the environment and planning issues associated with major infrastructure, property development and energy and resources projects. In 2014, Anna undertook an international secondment with the Brazilian law firm, Veirano Advogados, where she worked in São Paulo. Since returning to Australia, Anna has become a founding member of Corrs’ South America Business Group which is working to promote business opportunities and engagement between South America and Australia. Anna White is the VIC Director for the Australia Brazil Chamber of Commerce (ABCC). Ana Julia Carusi is a Registered Migration Agent who graduated at the Australian National University. She is the Managing Director of Seven Migration and also Managing Director of Information Planet Perth, specialized in services for international students. Originally from Brazil, Ana Julia has been in Australia for the past 10 years assisting migrants to reach their dreams. ​She is also a member of the Migration Institute of Australia (MIA). Mateus Nolasco is an accomplished entrepreneur and a member of the Institute of Chartered Accountants in Australia and New Zealand. Brazil-born, Mateus is a Project Director at CoSec Consulting and acts as the Australian Resident Director for a selection of the firm's foreign clients. He has held executive and non-executive directorships in several companies across the international education, media, technology, biotech and not-for-profit sectors. Mateus co-founded Insider Publishing, a pioneering media house that produces a variety of print and digital student publications in Asia and Australia – where it is regarded as the national leader in international student publishing. ​He is also a director of the Good Thnx Foundation and has a long history of volunteering for arts and culture, and entrepreneurship not-for-profits in Adelaide, South Australia where he has lived since 2003. “Brazilian born, but living in Australia since 2006, Valeria has extensive international experience running her own travel and relationship marketing business. She is passionate about travel and international opportunities having also lived in the USA, UK and Ireland. She has a Bachelor degree in Public Relations, a Certificate of Proficiency in English from Cambridge University and studied English as a Foreign Language at the Harvard Extension of School in Boston, Massachusetts. She also has a Diploma in Public Relations from the London School of PR. Valeria has travelled extensively throughout Europe and has worked in Ireland for the Irish Group Kepak as an interpreter and travel manager.